Looking for some ideas to shed technique metal-style? In this Talking Technique episode on notreble.com I explore playing a minor pentatonic scale with the roots in between. That can start sounding pretty heavy! Let’s explore some variations and look at the technical challenges and how to address them. I also take another look at why I think playing the roots in between is a good technical – as well as theory exercise. Today’s tip has to do with relaxing your face – and why that is important. I am playing my Votan 4 XS by Marleaux. Many thanks to WolfTrackAudio for sound engineering! 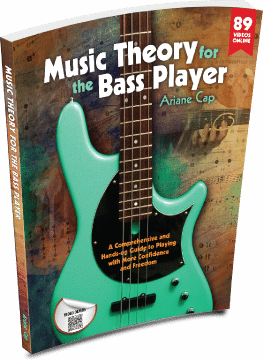 After reading and watching a few of your blogs/videos I just want to say that it’s clear that your music-making and ability to communicate what you know, it transcends ‘mere’ bass playing, although applied to and centered aound it. As a multi-instrumentalist I sense it very clearly. Hugely helpful, and inspiring.